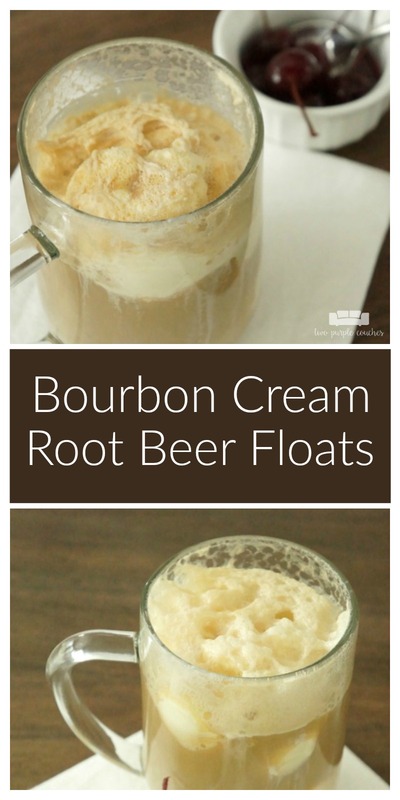 The idea of boozy root beer floats has been around for a while, but if you have yet to try one (if you’re of age, of course), let me encourage you to move this Bourbon Cream Root Beer Float to the top of your list! Have you ever tried Bourbon Cream? I tried it for the first time earlier this year when we visited the Buffalo Trace distillery in Kentucky. 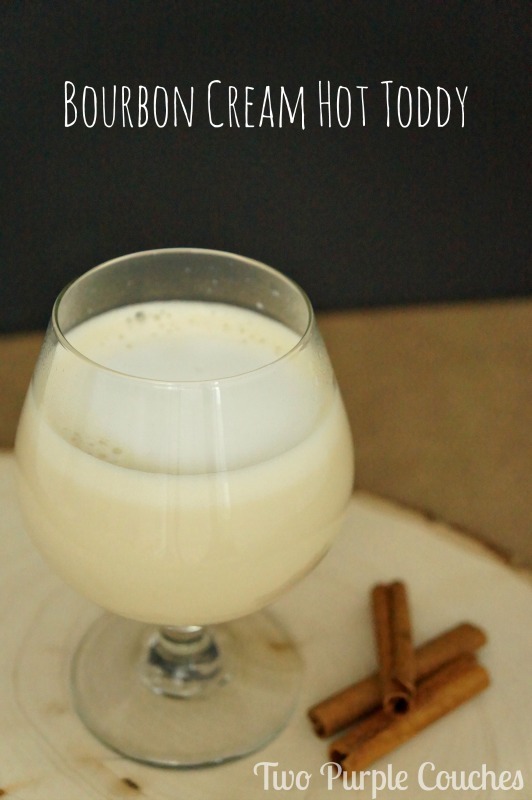 If you’ve never had it, it reminds me of a bourbon version of Bailey’s Irish Cream – it’s creamy and decadent, but has that yummy bourbon finish. 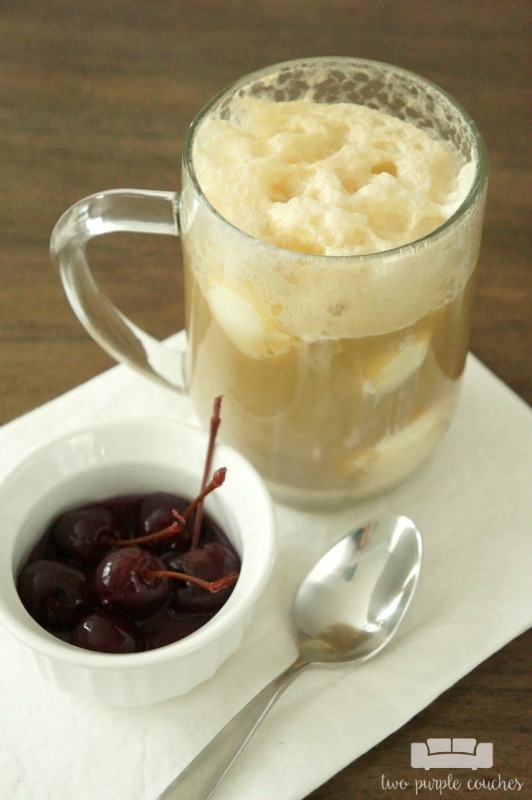 Our distillery tour guide suggested mixing it with root beer, but I wanted to turn this drink into a true root beer float and add vanilla ice cream. Because why not!? Place a mug or glass in the freezer for a few minutes to get it frosty. Then add a few scoops of vanilla ice cream. 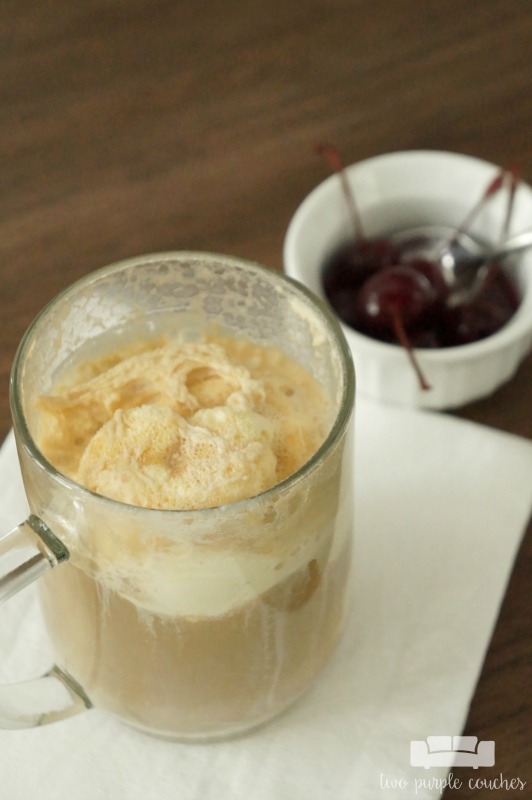 Pour one shot of Bourbon Cream over the ice cream, then fill the mug with root beer. 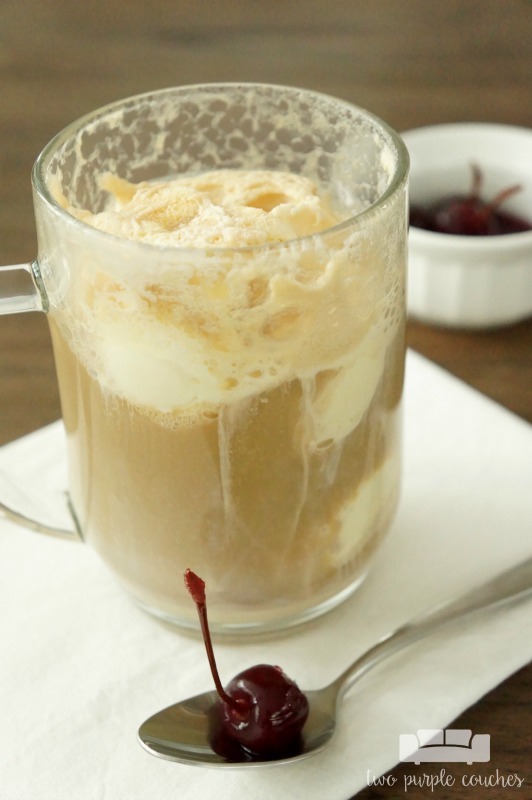 Garnish with bourbon-soaked cherries. This entry was posted in What's Cooking on July 29, 2016 by Two Purple Couches.